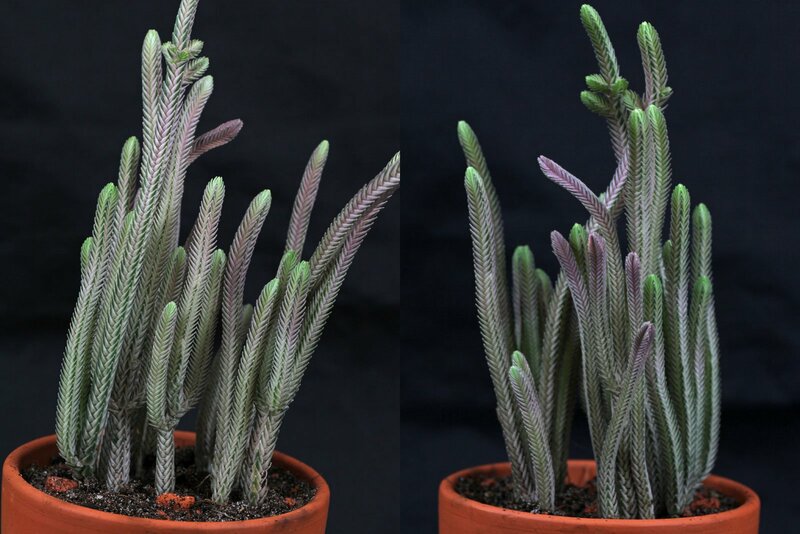 The Rattail Crassula does best in full or partial sun. Hot summer sun is welcome. An only bright location but directly behind a window is also suitable. 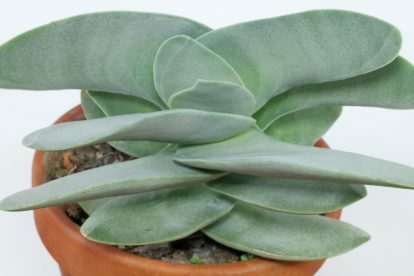 This little succulent plant can spend the summer in the garden or on the balcony. There it has to be slowly accustomed to the sun, which is no longer filtered through a window. 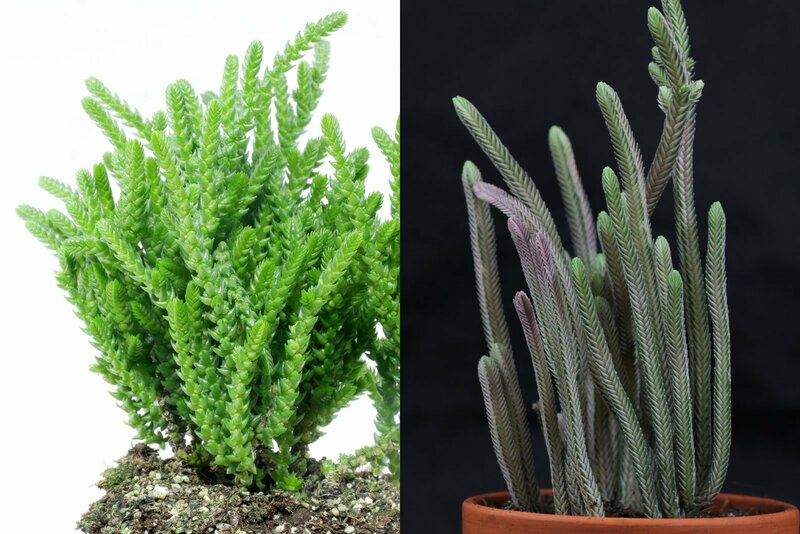 Crassula muscosa grows good in a regular cacti mix. Also fine is a mixture of potting soil, bird sand and pumice (3:1:1). Allow the soil to nearly dry between the waterings. 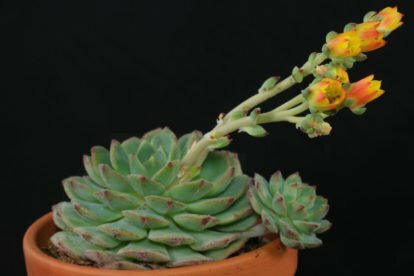 Drying out for short time will be tolerated but it is better if the soil only dries to about 90 % of the pots height. Water sparingly if placed cool to temperate during winter. 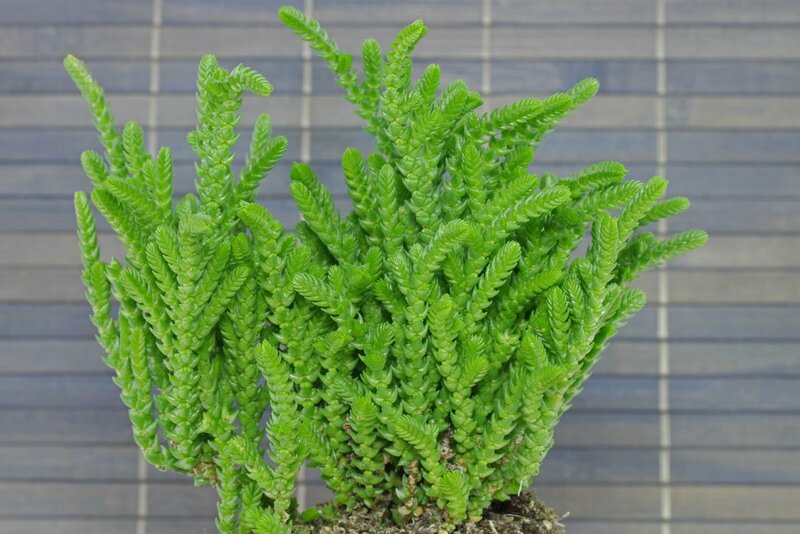 If the Rattail Crassula is placed in the garden during summer, the pot should not stand in a saucer or overpot so that the rainwater can run off. 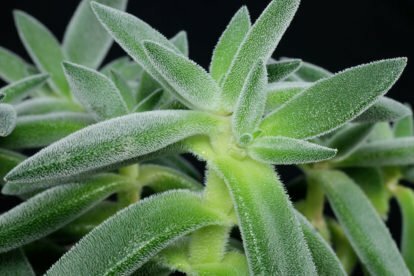 Every 4th to 8th week if the plant is in active growth. Feed with cacti liquid fertilizer or a standard liquid fertilizer at half strength. 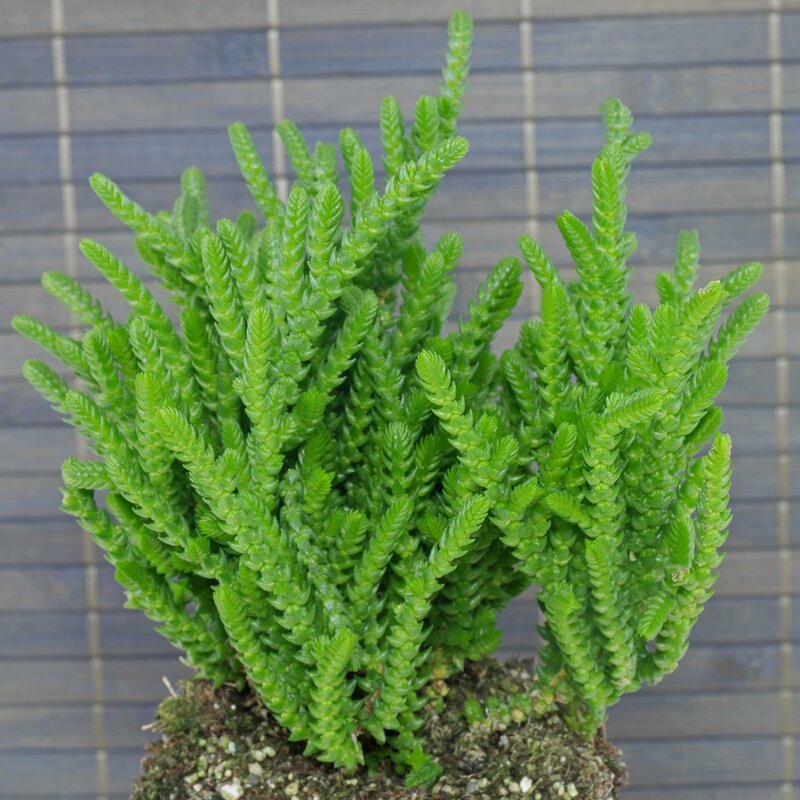 A new bought or recently repotted Rattail Crassula don’t need to be fed for the first year. 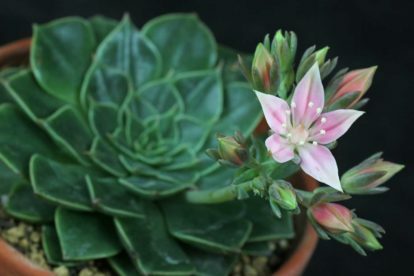 If flowers should appear in spring, Crassula muscosa must be given a winter rest period at 10 to 15 °C (50 to 59 °F). Minimum temperature is 5 °C (41 °F). A warm winter location is also tolerated, but can lead to thin and unstable shoots. In order to avoid this watering has to be reduced. 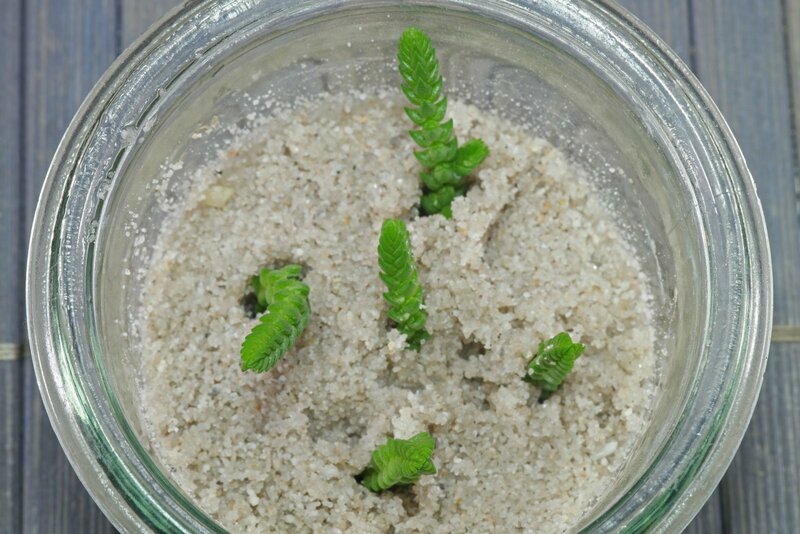 Growing Crassula muscosa from cuttings is easy. 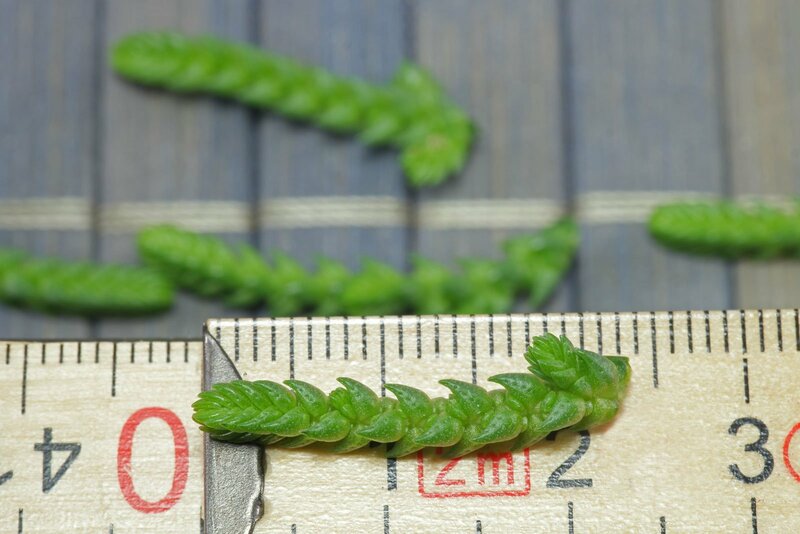 Shoots from 2 centimetres in length are suitable. 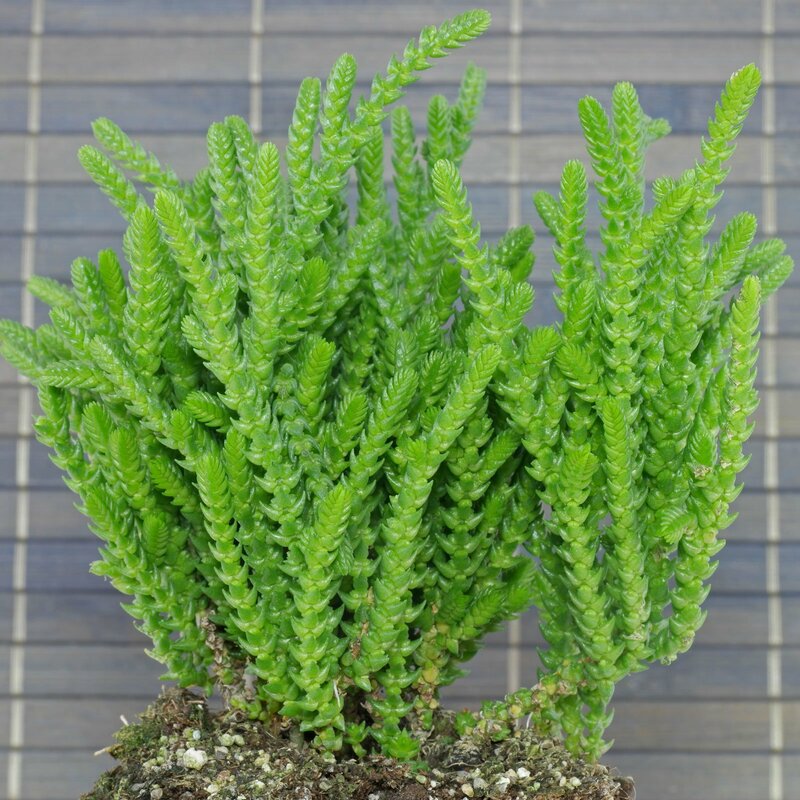 They can be planted immediately after pruning in cactus soil or bird sand. Temperatures starting at 20 °C (68 °F) are ideal for rooting. Which takes about 3 weeks.